Sales and marketing teams touch accounts in different ways, but both work toward a common goal: driving revenue for their business. But even while working toward the same goal, the two teams often have a difficult time staying on the same page and understanding the impact of each other’s actions. 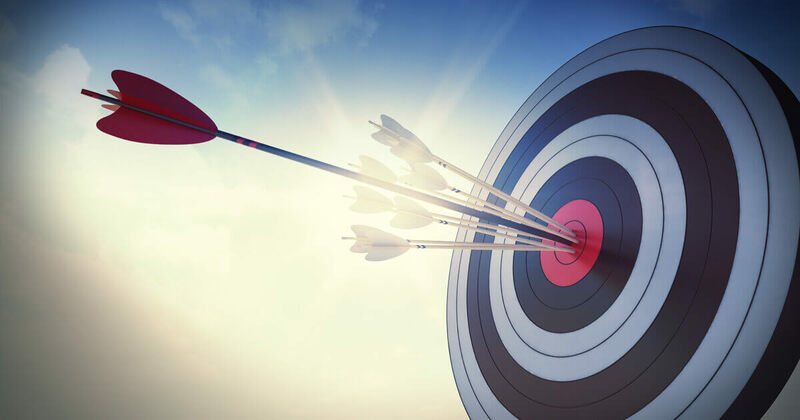 Businesses lose opportunities because they aren’t targeting the right people, with the right message, at the right stages—but, by answering the “why” and “who” behind their account-based marketing (ABM) actions, teams have the ability to open opportunities with in-market accounts faster, with higher conversion rates and more efficiently. Two known individuals from the buying committee consumed the product specs and customer success stories from their website. One anonymous individual went to the customer community portal. The CFO consumed your ROI calculator. They are reading articles outside your website that compares you with competitors X and Y. They have clicked on emails X, Y, and Z.
Forrester found that 74 percent of B2B buyers conduct more than half of their research online before contacting a sales representative. Through the appropriate data, marketing and sales teams can meet the B2B buyer where they are in their journey and take a proactive approach to lead generation that doesn’t have to involve cold calling. Sales can use data to figure out a messaging strategy based on what content the prospect is consuming and where they are in the buying cycle. Marketing can use the data to deliver the correct messaging to the right person at the appropriate time across channels like email, web, display, search, content syndication, and more. When sales and marketing understand the “why” behind the account, they can spend more time focusing on fewer accounts with a greater chance of success, rather than chasing accounts that lead to dead ends. Tells them where the holes are in their CRM with regards to contacts from their buying center within accounts that are hot. Gives them the ability to procure those contacts and feed them into CRM and marketing automation tools for the sales and marketing teams teams to reach out to. Keeps track of how the contacts within an account are engaging with your outreach and who within the buying center is not engaging. By getting to the right contacts within an account early in the buying process, marketers and sales leaders can increase their speed to lead by targeting specific roles within a company with the right messaging and content based on their goals. An IDG survey identified that the number one challenge for B2B marketers is generating high-quality marketing qualified leads (MQLs) and marketing qualified accounts (MQAs). When teams have the ability to focus on the why and the who, they’re able to direct their attention to the right accounts, ultimately leading to a more customized experience for the account; added revenue; and longer, stronger customer relations. For example, PGi, a global leader in collaboration, has seen tremendous growth since implementing an ABM solution that focuses on extensive data analytics and reporting and ongoing training and support. Since finding the who and why behind accounts, PGi has seen a 68 percent increase in time-to-contact and a 77 percent increase in win rates, while more than doubling their average deal size. The future of successful ABM falls to the deeper alignment of sales and marketing. If they have tools that gives them insights into the buyers journey, they can work together to move the prospect down the funnel. Ultimately this strategy will help sales identify the needle in their prospect haystack while allowing marketing to develop appropriate messaging based on where that target is in their buying journey—providing a clear path to success for both teams. Successful sales and marketing teams aligned and focused on the why and the who typically create 40 percent more opportunities and larger deal sizes and better win rates. Additionally, sales and marketing teams that work hand-in-hand as a team to tackle ABM have a much higher likelihood of success if they work together with shared KPIs and goals.